Nails (fingers and toes) must be kept clean and short to avoid cuts and scratches. Cuts in the skin must be brought to the attention of the class instructor immediately. Cuts must be covered with a plaster from the first aid kit. Any blood on the floor or equipment must be wiped clean. Jewellery (including watches) must not be worn. Rings and piercings that cannot be removed should be made safe. A good standard of personal hygiene is expected. Please walk around the edge of the training area when wearing outdoor shoes. During wet weather, please remove all outdoor footwear upon entering the hall. Students should make every effort to be on time for lessons, but if late should enter the dojo (training room) quietly, bow and wait for the instructor's acknowledgement before joining the rest of the class. All training venues are designated as no smoking areas. No food shall be consumed in the hall. All drinks must be kept at the very edge of the training area. Any spillages must be brought to the attention of the instructor immediately. Shoes, bags and other items must be kept well away from the training area. If any object likely to cause injury or discomfort to the bare feet is noticed (e.g. pieces of glass), please bring this to the attention of the instructor immediately. Please inform the instructor if you notice any other hazards. Any training member suffering from an infectious foot disease must cover their feet (e.g. verruca sock) or wear appropriate training shoes. You must inform the instructor or other senior grade if you have to leave the main training room at any time during the lesson. All mobile phones, alarm watches and pagers should be turned to 'silent' or turned off. Where a 'gi' (karate-suit) is worn, it should fit correctly, be clean, ironed and in good state of repair. With the exception of the 'white-belt'/beginner grades, the appropriate belt should always be worn with the gi. Males partaking in freestyle bouts must wear a groin guard. During freestyle/sparring the appropriate protective equipment must be worn. e.g gum-shield and head guard for semi-contact bouts. If you have any illnesses or injuries, be sensible with your training. Certain activites might be best avioded so by all means take time out or do an alternative exercise. It is not advisable to eat a big meal before the class. A light bite and hour or two beforehand is more sensible. To avoid dehydration please ensure you drink water, before, during and after the class. Anyone watching the lessons should take care not to cause disruption. i.e. chatting. Apply for a Goya-Ra-Ru Membership Licence within 1 month of beginning training. Students should obtain a gi in order to partake in any Goya-Ra-Ru Martial Arts testing. i.e. Grading Exams or Tag Tests. NB: The class instructor reserves the right to exclude any member from participating in the class at any time. Gross failure to observe the above rules may result in exclusion from training. 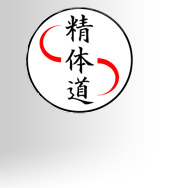 Beginners Sessions | Links Page | Link to gokarate.co.uk | Side Kick | Round Kick | Projects | Bushi GoyaRaRu Assoc. Birmingham West Midlands: Acocks Green, Aston, Bartley Green, Billesley, Birchfields, Birmingham, Boldmere, Bordesley, Bordesley Green, Bournbrook, Bournville, Bromford, Buckland End, Camp Hill, Cannon Hill, Castle Vale, Cotteridge, Deritend, Digbeth, Druids Heath, Duddeston, Edgbaston, Erdington, Four Oaks, Frankley, Garretts Green, Gravelly Hill, Great Barr, Hall Green, Handsworth, Harborne, Hockley, Hodge Hill, Kings Heath, Kings Norton, Kingstanding, Kitts Green, Ladywood, Lea Hall, Longbridge, Maypole, Mere Green, Minworth, Moseley, Nechells, New Oscott, Northfield, Perry Barr, Perry Common, Quinton, Rednal, Saltley, Selly Oak, Selly Park, Shard End, Sheldon, Short Heath, Small Heath, Soho, Sparkbrook, Sparkhill, Stechford, Stirchley, Stockland Green, Streetly, Sutton Coldfield, Tile Cross, Tyburn, Tyseley, Walkers Heath, Walmley, Ward End, Warstock, Washwood Heath, Weoley Castle, West Heath, Winson Green, Witton, Woodgate, Wylde Green, Yardley, Yardley Wood, Oldbury, Dudley. Kickboxing, Karate, Kung-fu, Self Defence, Self Defense, Classes, Lessons, Clubs, Instructor, Expert, Tuition, Qualified, Childrens, Adults, Safe, Quality, Traditional, Effective, female, womens, ladies, mens, kids.